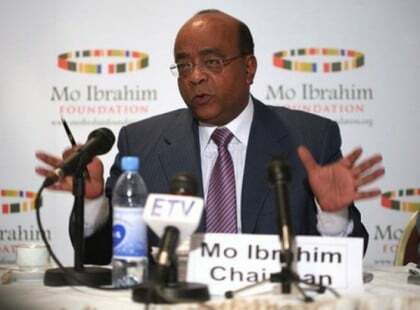 The Mo Ibrahim Foundation today announced that there is no winner of the 2016 Ibrahim Prize for Achievement in African Leadership. The announcement was made following a meeting of the independent Prize Committee chaired by Dr Salim Ahmed Salim, and the Foundation’s Board meeting last weekend. As I emphasise each year, a very high bar was deliberately set when the Prize was launched in 2006. We recognise and applaud the important contributions that many African leaders have made to change their countries for the better. But the Prize is intended to highlight and celebrate truly exceptional leadership, which is uncommon by its very definition. After careful consideration, the Committee has decided not to award the Prize in 2016. The candidates for the Ibrahim Prize are all former African executive Heads of State or Government who have left their office during the last three calendar years (2014-2016), having been democratically elected and served their constitutionally mandated term. Since being launched in 2006, the Ibrahim Prize has been awarded four times. The previous Laureates are President Hifikepunye Pohamba of Namibia (2014), President Pedro Pires of Cabo Verde (2011), President Festus Mogae of Botswana (2008), and President Joaquim Chissano of Mozambique (2007). Nelson Mandela was the inaugural Honorary Laureate in 2007. The Foundation looks forward to hosting its flagship event, the Governance Weekend, in Marrakech, Morocco from 7-9 April 2017. The event will open on the Friday evening with a high-profile discussion titled ‘A Conversation on Leadership’, looking at the challenges of global leadership in the 21st century.